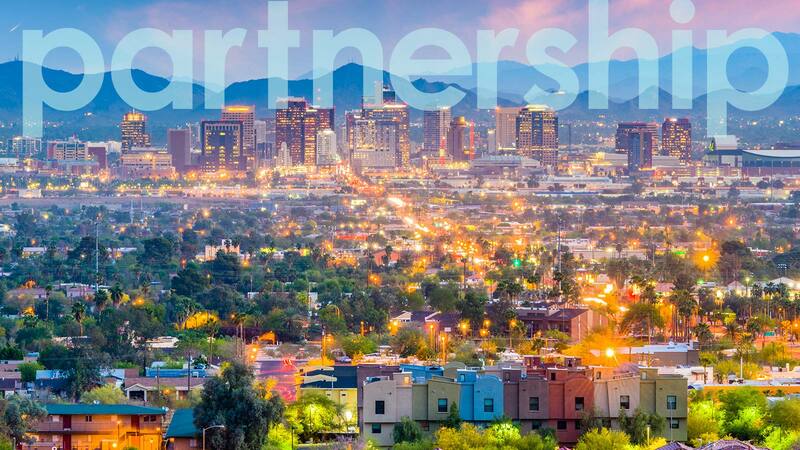 Banner Health, a Phoenix based non-profit health system and the largest employer in the state of Arizona, recently outgrew their internal infrastructure for their annual general session meetings. Banner Health needed to expand their meetings into an external event space, and AV Concepts, their trusted local audiovisual partner, provided the top-notch support they needed throughout their transition. Working with local partners is important to Banner Health, and a common theme we’re seeing with other businesses throughout the industry. Why? Check out the video below to see what a local partnership looks like from our partners point of view. “We’ve moved out of our internal infrastructure… into an external infrastructure, and that’s where we rely heavily on AV Concepts’ expertise and guidance.” Says Banner Health Multi Media Coordinator Steven Sowards. Communication. Communication is a key element to successful collaboration. Going local with your partnerships makes establishing open and cohesive communication much simpler. When you’re within the same state or region as your supplier, it’s easier and more straightforward to set up meetings, communicate face to face, and develop the personal relationships that are necessary for a fruitful partnership. Cost-Effective. Trucking costs can be a large and detrimental addition to your event budget. You’re also saving money across the board on technical team travel and time needed to be onsite. Being able to minimize those costs by utilizing local providers is key to being able to spend more money where it really matters. Consistency. Creating a local, fluid relationship with a partner instead of renewing the AV bidding process over and over again can save you a lot of time, energy and money in the long-run. The AV company will know your team and your needs, and will be able to raise the bar year after year with you. Community. Supporting your community is an incredibly responsible business initiative, especially in today’s landscape. There is no shortage of competition out there, and being able to harness and cultivate meaningful relationships locally is not only supporting your community, but giving you leverage for future growth. Convenience. How convenient would it be if you had a last minute change or addition for your event, and the people that are able to make that change or addition happen to live right down the street. This may seem like an obvious one, but think about the peace of mind that would bring when last minute changes happen (which they always do!). Having local backup in dire times of need is a must. Located in Tempe, AZ, AV Concepts is the perfect resource for west-coast audio visual. Considering the west-coast for your upcoming event? Let us know how we can assist you on your next event here and we will get back to you right away! Want more examples of AV Concepts partnerships? Check out this section of our website for more videos, case studies and testimonials!